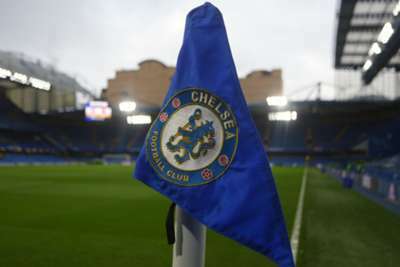 Chelsea have suspended four people from attending the club's matches pending further investigations into allegations regarding the behaviour of supporters towards Manchester City's Raheem Sterling. The announcement comes following an incident during the first half of Saturday's 2-0 win over the reigning Premier League champions at Stamford Bridge as Sterling collected the ball from beyond the byline. Chelsea and the Metropolitan Police launched investigations into whether the England international was racially abused by spectators. In announcing the suspensions as they continue to look into the matter, the club stated their intention to hand out "severe sanctions" to any ticket holders who are shown to have committed racist behaviour. "Our investigations into this matter are ongoing. We are fully supporting the police investigation and any information we gather will be passed on to them," Chelsea said in a statement. "Chelsea Football Club finds all forms of discriminatory behaviour abhorrent and if there is evidence of ticket holders taking part in any racist behaviour, the club will issue severe sanctions, including bans. We will also fully support any criminal prosecutions." In an Instagram post criticising the coverage black players receive in the British media, Sterling referenced what happened in the fixture. "Regarding what was said at the Chelsea game, as you can see by my reaction I just had to laugh because I don't expect no better," he wrote.